Over the years, SAC Engineering has been involved with two to three hundred head sales per month, we literally have hundreds & hundreds of valves, camshafts, head components, etc. in stock. We are able to re-profile most cams. 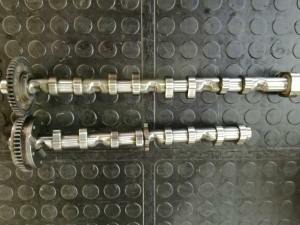 If you have a camshaft with a worn lobe, if we don’t have a replacement cam we can repair your original back to standard. We manufacture cylinder head valves from blanks or billet. We can help with almost any cylinder head related component or enquiry.